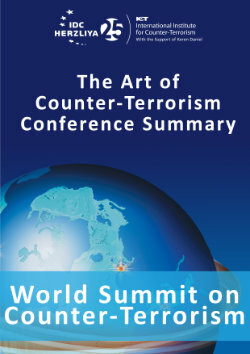 Much has been written about the fact that since the end of World War II, we have been witnessing a reduction in the scope of "classic" warfare: low intensity conflicts, Operations Other Than War (OOTW), asymmetric warfare and a host of other terms have evolved in an attempt to characterize the nature of the new conflicts. Apparently, the abundance of terms mainly reflects confusion and gaps in understanding, interpretation and the development of ways to cope with the problem. Ahead of us is a generations-long journey along the way to "classicizing" the phenomenon of war as it seems today.